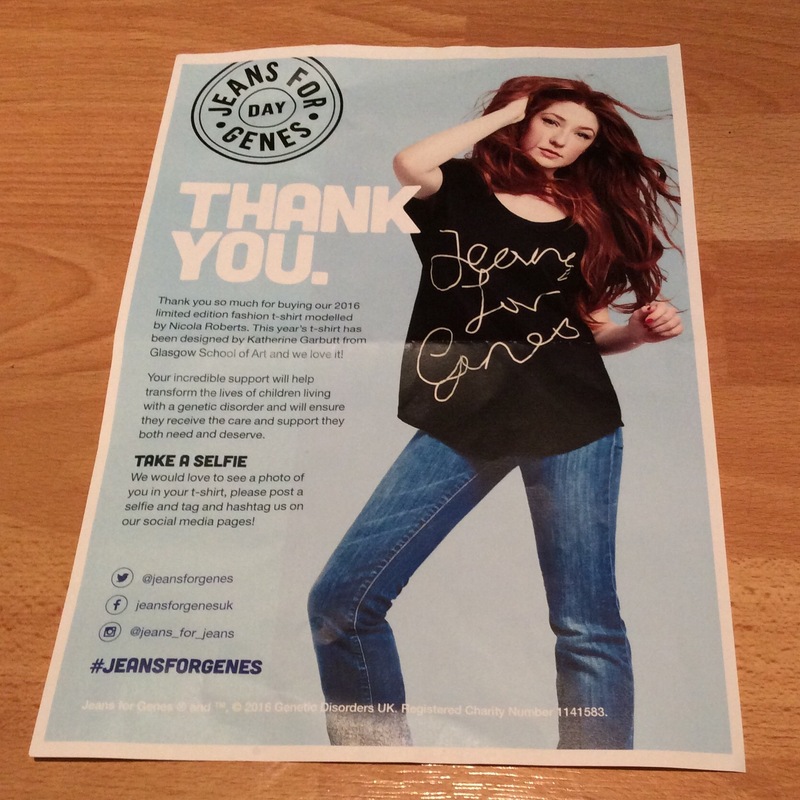 The money raised on Jeans for Genes Day funds a range of initiatives that improve the quality of life of children affected by genetic disorders – please see the Jeans for Genes UK site for more detail. In the UK, one day every year – this year Jeans for Genes day is on Friday 23rd September – everyone is asked to throw out the usual dress rules, jump into their jeans and donate a sum to help this cause. The appeal also come up with ideas to raise extra funds, such as competitions and quizzes and through their clothing including annual limited edition fashion t-shirts. 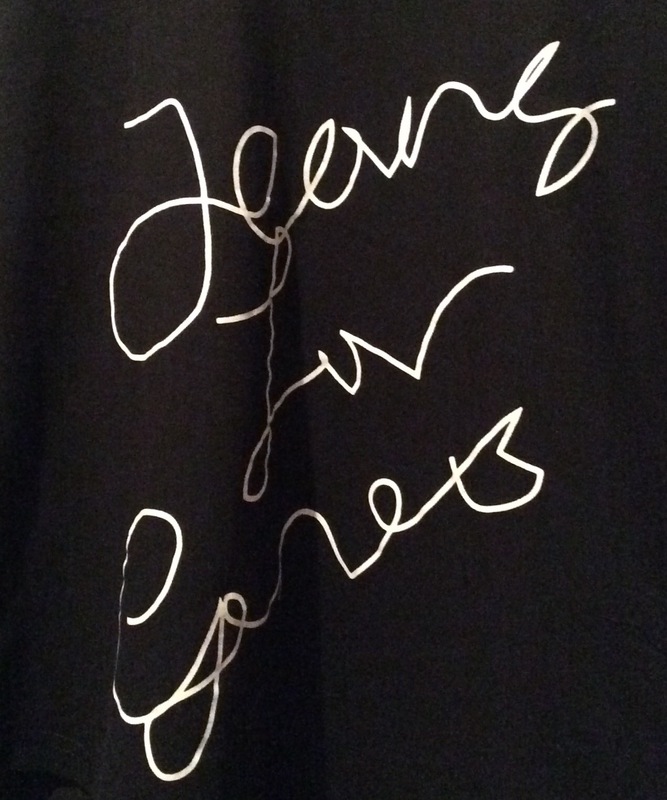 This year Jeans for Genes have teamed up with Glasgow School of Art to bring you their 2016 limited edition fashion t-shirt which was designed by Katherine Garbutt. The T-shirt is £20 and comes in sizes UK 6 – UK 22 – however I have just checked and sizes 6 and 22 are now sold out. 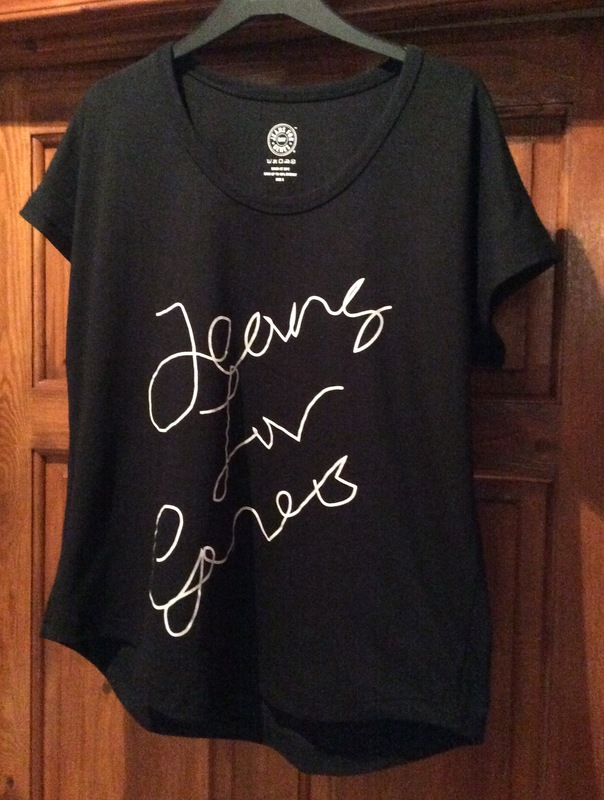 I received my t-shirt yesterday (I have purchased one the last few years as well), it is a beautiful black v good quality oversized t-shirt with Jeans for Genes logo written in white on the front, the scoop neck shows off your collar bones, while the short sleeved design and loose oversized fit will help to keep you cool and comfy. I would definitely recommend purchasing this t-shirt for you to be a part of Jeans for Genes day through supporting this excellent cause and because it also is a beautiful comfortable t-shirt to wear any time, not just 23rd September 2016. However if you decide to purchase I would recommend going at least one size smaller as although it is meant to be loose fitting it is big fitting and although I usually take a Size 10 I purchased the t-shirt in Size 8 and I might have been better to get a Size 6 – however will still be able to wear the size 8. Thank you for taking the time to look – much appreciated – look forward to any comments you may have – if you are not already a follower would love you to follow my blog too – would mean a lot.